Here you will find our solutions on different accounting and tally problems which are sent by our readers to us in email box or contact box. 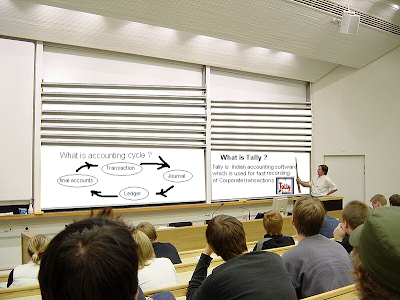 We receive daily large volumes of emails of accounting queries from different students, accountants, accounting teachers and lecturers and tally professionals from all over World. So, it is impossible to answer all the queries at spot. So, following solution may helpful to you to solve your queries. We advice you to read these solutions before sending us any query. From time to time, we will add new web page with more solution after solving the problems of online users. These solutions are only on nature of query. So before using, you should understand also query. There are following solutions of different queries which I found in my Contact Box . Reasons for not Showing My Mobile No. How can watch purchase and sale bills of tally 9 in Google spreadsheet of Google docs ?